Nitra is a city in western Slovakia, situated at the foot of Zobor Mountain in the valley of the river Nitra. 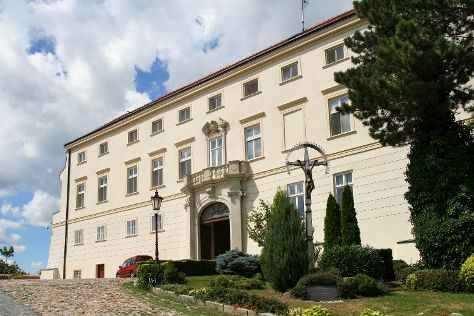 Start off your visit on the 20th (Sat): test your problem-solving skills at popular escape rooms, pause for some serene contemplation at Church of St. Michael the Archangel, stroll through Park na Sihoti, then see the interesting displays at Diecezne Muzeum, and finally explore the historical opulence of Nitra Castle. To see photos, traveler tips, ratings, and other tourist information, you can read our Nitra travel guide. Use the Route module to find suitable travel options from Prague, Czech Republic to Nitra. Expect a daytime high around 31°C in August, and nighttime lows around 18°C. Finish up your sightseeing early on the 20th (Sat) so you can travel back home.